Sequoia is a name given to two species of coniferous evergreen redwood trees of the bald cypress family that grow in a narrow strip of land in central and northern California and southern Oregon [USA]. 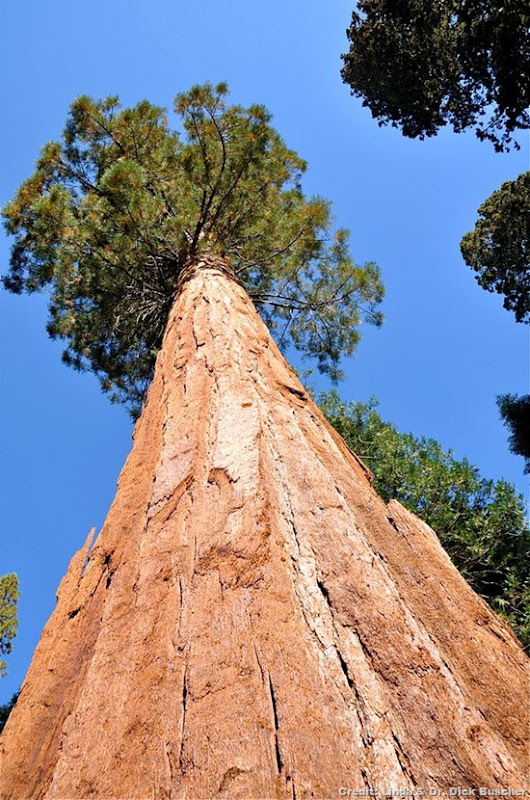 Sequoiadendron giganteum are the Giant Sequoias that grow only on the western slopes of the Sierra Nevada Mountains of California and are the most massive trees in the world. Some Giant Sequoia trees are believed to be 3,000 to 4,000 years old. Sequoia sempervirens are the Coastal Redwoods that grow along the Pacific coastline and are the tallest known trees in the world.